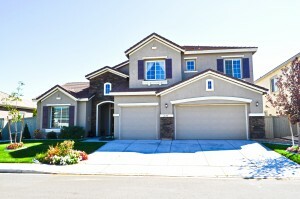 King size home in the Stage Coach Edition II subdivision of Double Diamond in South Reno. Regular sale with a quick close. No need to wait on a bank approval. Within walking distance of parks and trails this home offers a wide open floor plan with more than enough space for entertaining. The clean and inviting neighborhood makes this home a retreat to come home to after work. Within 25 minutes of skiing and 35 minutes of Lake Tahoe gives you the flexibility for weekends in the� lush backyard or in the beautiful Sierra Nevada Nevada mountains. To view the property details click on the listing below. 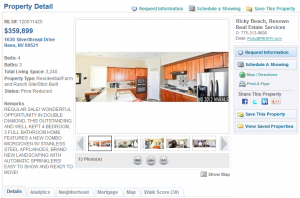 For more information or to see this or other homes contact Broker Beach at (775) 750-1437 or Ricky@Resnv.com. Posted in For Buyers, Listings and tagged big damonte ranch homes for sale, double diamond regular sale home, regular reno homes for sale, reno real estate agent blog, south reno homes. ← Is A Short Sale Or Foreclosure Worse For Your Credit?